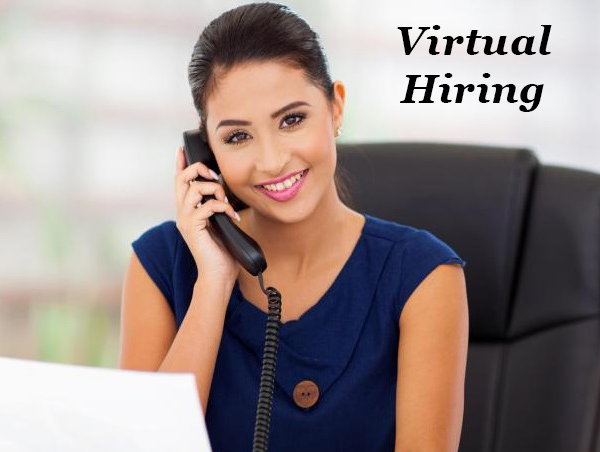 Virtual Hiring is a recent trend soaring the temperature high among the business houses helping the business to flourish in most innovative and robust ways. In the modern times businesses lack highly skilled employees, resources and money flow problems. This is the time, when they hire the virtual employees to get the project done in systematic and organized manner. Virtual staffing services offer its services to various market verticals including huge business houses, associations and other small scale business firms to enhance their value proposition. Commerce Cabin team of highly skilled, dedicated SEO specialist, content writers, graphic designers, developers and designers offers the best virtual hiring services to all sizes of industries at affordable rates to allowing clients to focus on various aspects of the business terminology. So put all your stress at halt and give our team a chance to execute the specified tasks matching the client requirement matching business model of the company. From web planners, programmers, SEO community, visual architects, you can contract any representative for any kind of services including web designing, mobile applications, digital marketing, etc. Is the process of affecting the visibility of a website or a web page in a search engine’s unpaid results—often referred to as “natural,” “organic,” or “earned” results. In general, the earlier (or higher ranked on the search results page), and more frequently a site appears in the search results list, the more visitors it will receive from the search engine’s users. SEO may target different kinds of search, including image search, local search, video search, academic search, news search and industry-specific vertical search engines.Class aptent taciti sociosqu ad litora torquent per conubia nostra, per inceptos himenaeos. Vestibulum a erat eu dui malesuada rhoncus. Etiam libero sapien, consectetur id mattis eget, luctus non ligula. Sed molestie tincidunt ante at tempor. Donec sit amet urna et nunc commodo viverra id vehicula felis. Duis in lacus at tortor suscipit varius.